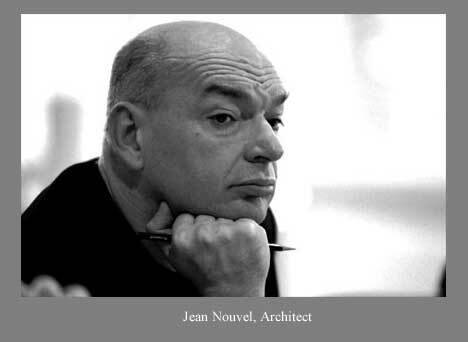 This week we have the “3 degrees of Jean Nouvel”, a thinly-veiled attempt at a thematic post set out in three parts; The Architect, The Botanist and The Photographer. there is the desire to analyze and understand the world but this should not prevent us from expressing something, from inventing, and in that sense ‘utopia’ is a part of our work. More on the the man behind the utopian architecture here. Alternatively, have a look at a slideshow of Nouvel buildings by a bunch of talented photographers. Next is an interview by PingMag about the amazing vertical green walls and gardens by Nouvel collaborator, Patrick Blanc, a French botanist. Blanc worked with Nouvel on the vertical gardens of the Musée du Quai Branly in Paris, however, the main landscape design is by Gilles Clément. Whilst these “living walls” are intriguing, there is some discussion about their environmental viability and general maintenance. although it’s hard to argue against Blanc’s objective; “The city needs urban nature. There are masses of places one can create greenery without needing to take up large spaces.” Takes me back to university and The Granite Garden published in almost a quarter of a century ago. A photo essay on the landscape of the Quai Branly museum is available here. A huge gallery of photographs from an archive spanning 35 years by professional German photographer, Thomas Mayer. His archive is well worth visiting as there are over 10,000 architectural photos alone, including buildings by Frank Gehry, Zaha Hadid, Peter Zumthor, Richard Meier and of course, Nouvel. Mayer’s Torre Agbar set shows the building rising from the gritty urban surrounds of Barcelona like a umm… well, let’s just say looks a bit suspect. Nouvel’s description of the Torre Agbar (aka. Agbar Group tower) is a little more poetic; “a distant echo of old Catalan obsessions, carried on the winds that blow in from Montserrat” but, really, it must be a homage to his love of Cuban cigars. Also check out the official Torre Agbar site which has a wealth of information – all embedded in Flash unfortunately (gee it does horrible things to text legibility).